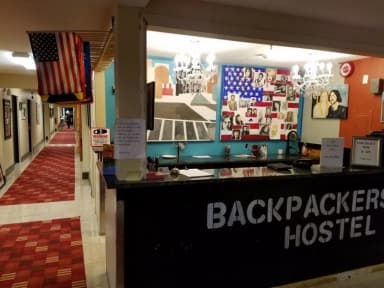 The staff was amazing, the hostel is close to the center of Boston because they offer a free shuttle to bring you and pick you up from the subway. Even if just outside the centre of Boston, there is a great service of free shuttle bus who brings you to the orange line of the subway , and that's great ! The staff was great, available and kind. There is a very nice free breakfast in a nice room and many clean showers .Even if I had spots on my sheets, the place was clean enough and our female dormitory was quite spacious. We loved that there were many young people and there was a cosy atmosphere. I higly recommend it. The Hostel is quite far from the City center and the MIT, they offer a shuttle for the closest Metro station which is good. The Hostel area is a suburban area, poor services, but the Hostel is good, the people are great and the rooms are clean. The hostel was dirty and the beds old and some broken. Not recommended, far away from a Boston, even if there is a shuttle from hostel to subway station (sometimes the driver ask tips for the ride, weird because shuttle is free!!) 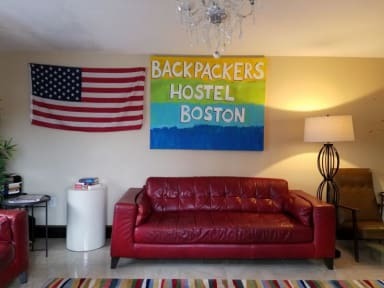 If you looking for an hostel in Boston this isn’t right solution!